From the attachment section located to the right of the message box, tap the Record icon. Icons may appear different between Android and Windows devices. 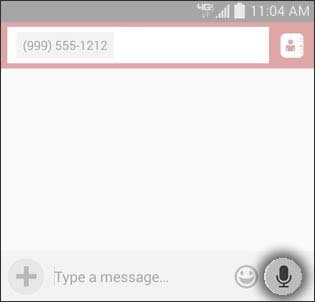 Tap and hold the Microphone icon to start recording a message. Release the Microphone icon to stop recording and send the message. Swipe to the left before releasing to discard the recording. The message is automatically sent when the recording is stopped.